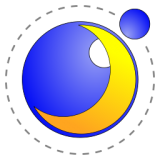 LunaLua v0.7.2.2 has been released! Bugfix [LunaLua]: Fixed the bug, where functions Blocks.get and Blocks.getInterseting didn't include the last block. This page has been requested 754 times.